My friend Virginia ( who is also ghost writing for me) made her version of Little Things. I am in love with her version. She is a modern quilter. She is also very minimalist in most of her works. So I am flattered that she made this. She kept several of my design elements and made it her own ..which is honestly my favorite part. I love to see the different spin people put on any pattern and how they adjust it. It’s all beautiful and reflective of themselves. I love her quote of course….and what a great reminder. You can see that she also added bits of lace ect. Now I think I need to start looking at bits in my stash. So pretty! This is Sacrifice. 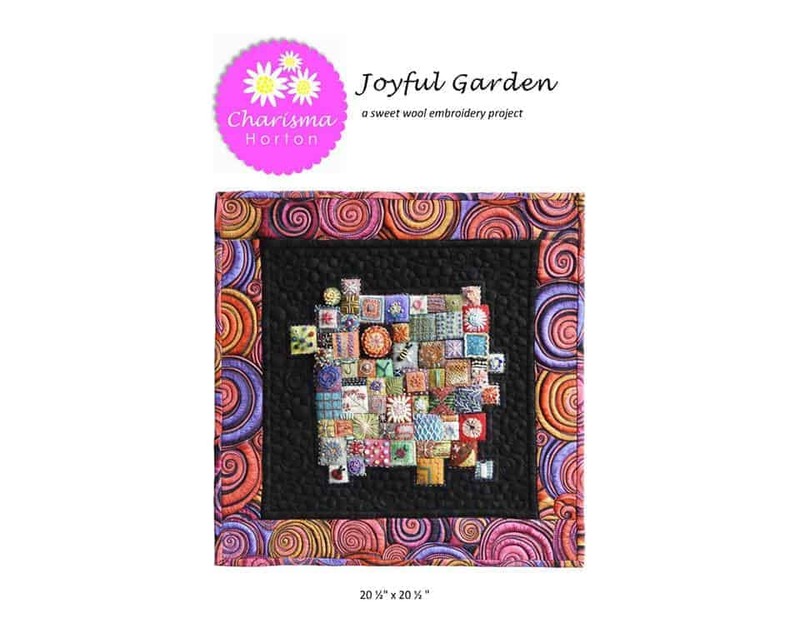 My latest pattern release. I have it listed in my ETSY shop HERE. So I have lots to say about this quilt. I love a quilt with meaning. 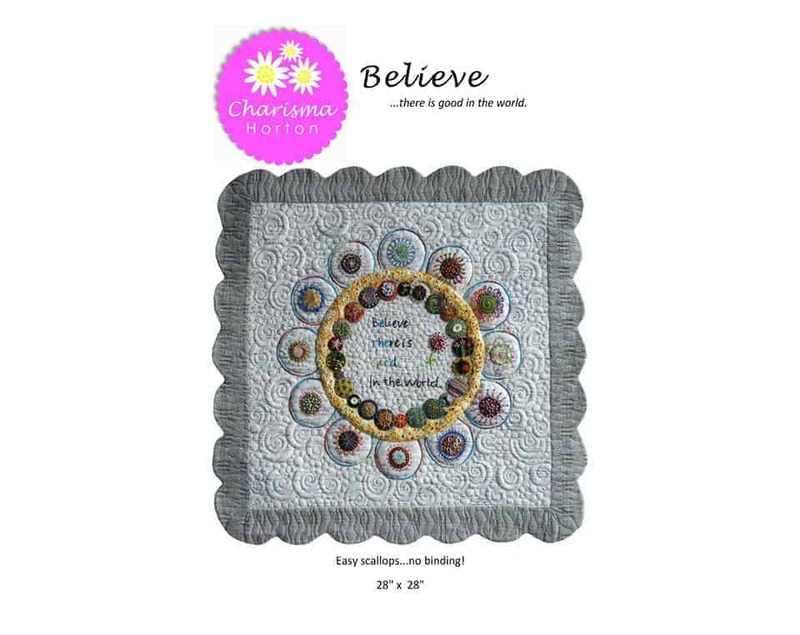 If you look at most of my designs there is usually some sort of quote or message within the quilt. This is no different. I am a Christian. I am a proud Christian and I want that to be reflected in my work. I went to Quilt Con in 2018 and I had no idea what was in store for me. I thought I was going there to be with “My kind of people” Which meant the modern quilting community. 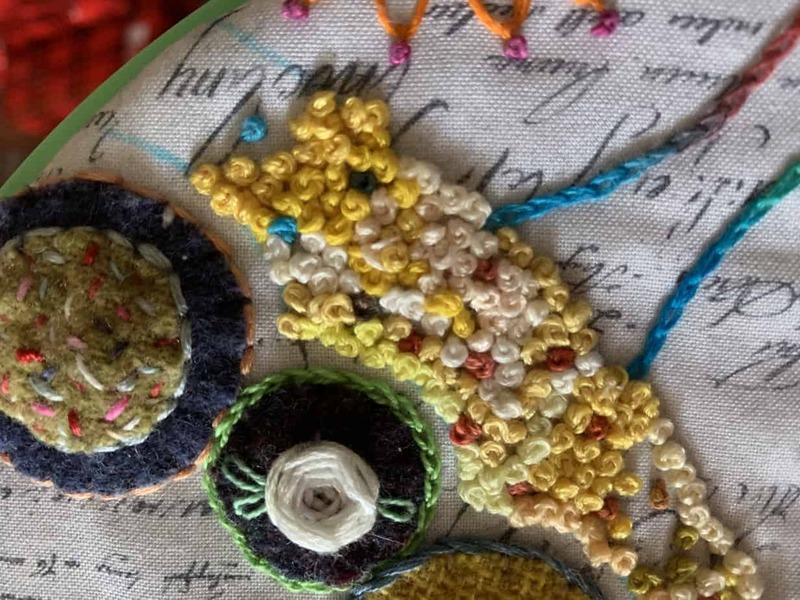 I am part of a modern quilt guild and Quiltcon is the largest modern quilt show in the world. I love modern quilts. I love that there are no rules and people can create. I knew there was some political quilts. They have them all over the place. What I didn’t realize is that they only represent one side. The MQG also has a “Diversity task Force” ( I could go on about that..but I won’t). If there is supposed to be diversity and they even have a task force shouldn’t you see diversity? There wasn’t. So I was a 40 year old woman feeling like I didn’t fit in somewhere. I haven’t felt that way in I can’t remember how long. I am accepting of everyone. I don’t feel like anyone should be oppressed. This is a juried show. So if that is the case and only one side is represented that means there isn’t diversity. So while I was going through the show each day I was searching for anything that represented me or my beliefs. I was talking to my friend, who was feeling the same things. 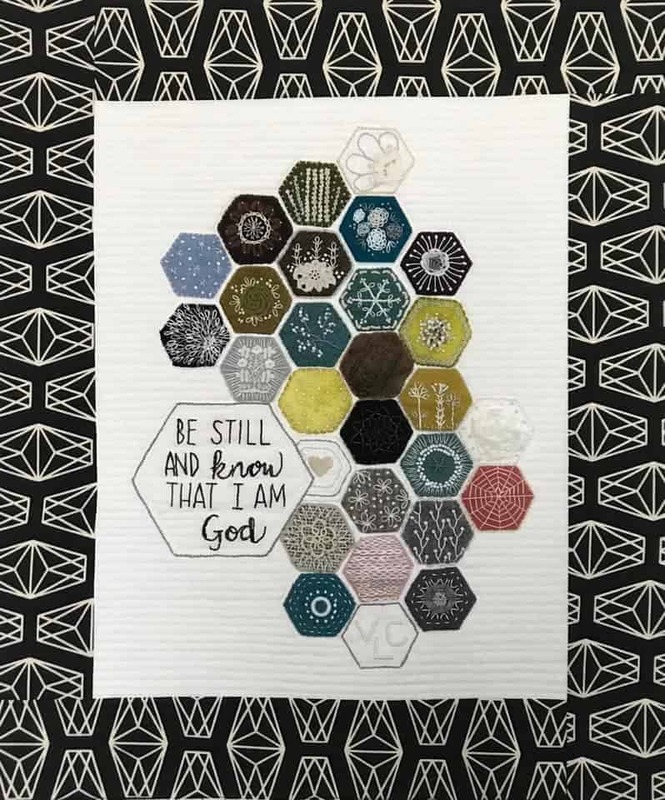 I decided that I would design a modern Christian themed quilt. I woke up in the hotel the next morning and this was in my head. I drew it out, right then & there. I know it is simple. But the message is great. 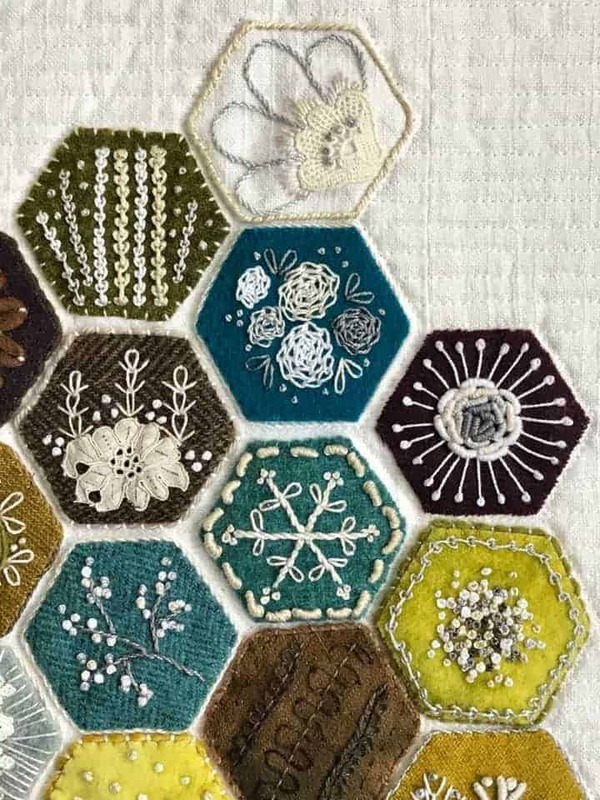 I am glad that this is the quilt that will start off my 2019. 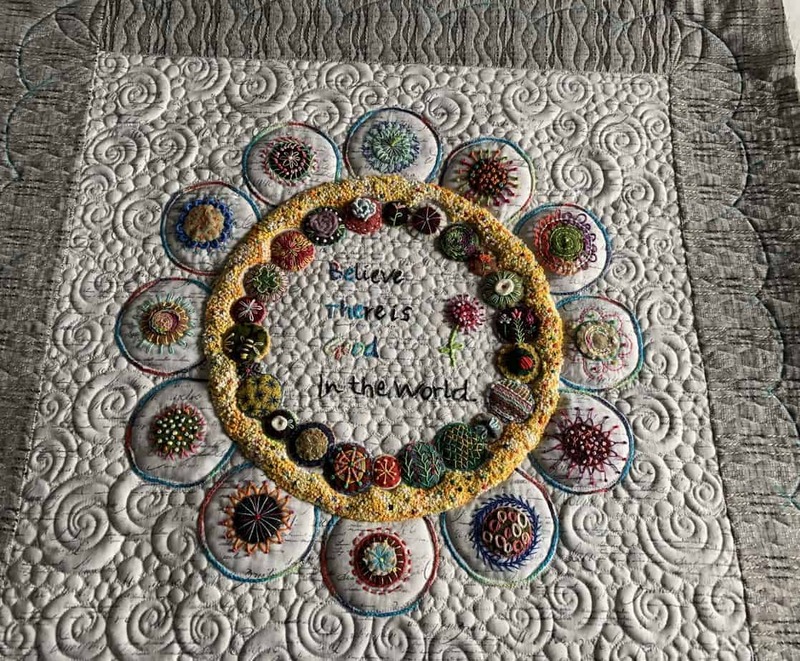 I am not sure exactly where this year will lead me….but I have many more quilts with great messages coming along. I have a few more patterns listed in my ETSY shop. That is HERE. I wanted to share these here…I shared them on social media already. But I like my blog to be a space where I can document my progress in lots of areas. So I have a few more to share. Believe there is good in the world. Be the Good. I made a quilt with this quote last year and it spoke to me in so many ways. I decided to use it again. I love the message. As you can see from most of the Stitching patterns that I am releasing they all have quotes. I love a good quote and I am inspired by them. I want to be surrounded by them. Words are so powerful. Words are a part of every single thing in our lives. We need them like we need air. 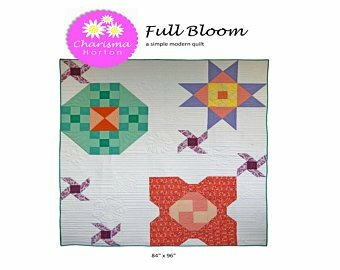 I also released a pattern called Full Bloom. It’s a modern quilt with lots of negative space…and it finishes full size. I have more coming! YAY! I have been working-working-working! I hope you all have a wonderful day. Today I have a prayer being answered…..one of many. I am so blessed & thankful. I pray all goes well. Here’s to a fabulous new beginning to a new year!